Debt Relief Orders: Helping to Reduce Bankruptcies? Home > Essential Information > Debt Relief Orders: Helping to Reduce Bankruptcies? 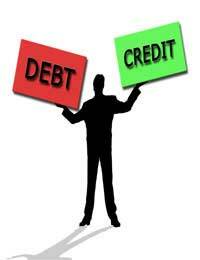 For people unemployed and unable to repay their debts, bankruptcy is the only course of action left available to them. However for many people, the costs associated with petitioning for bankruptcy are too high for them to pay. For example, if you wish to file for Bankruptcy you will have to pay a court fee of £150 (although if you are currently receiving benefits this could be reduced), as well as administration costs of around £450. For those in genuine poverty however, alternative help is at hand. Back in 2009, the Government introduced a new insolvency scheme known as a Debt Relief Order (DRO), aimed primarily at those people at the lower end of the bankruptcy spectrum. Just as with formal bankruptcy notices and Individual Voluntary Arrangements (IVAs), you must declare yourself as officially insolvent – unable to repay your debts – in order to be deemed suitable for a DRO. Who Will Benefit from Debt Relief Orders? With such a stringent selection criteria, it is clear that DROs are aimed only at the poorest and most vulnerable people in society, who are often preyed upon by unscrupulous creditors and loan sharks. As a result, it doesn’t seem likely that DROs will greatly reduce the numbers of bankruptcies that occur each year. Even so, they are definitely offer a glimmer of hope for those people in extreme poverty with no other options or ways to repay their debts. Just as with a bankruptcy or an IVA, once you are under the protection of a DRO, Creditors must no longer harass you for payment. Also similar to those insolvency measures, you should be free from your debts after a twelve month period, with the help of an Official Receiver. Despite it being relatively cheap to arrange, a DRO is certainly not an ‘easy option’. It is no less punitive as an IVA or bankruptcy order. The strict criteria means that the option will only be available to those people already in poverty. The Debt Relief Order is still publicly listed, and officially recorded for at least six years, so it carries the same stigma as a regular bankruptcy notice. Furthermore, a DRO application can only be obtained after the applicant has received official debt management counselling. This is markedly different from the arrangement of a bankruptcy petition or an IVA, both of which can be petitioned for in court, without any legal or financial advice beforehand. The advice could come from the Citizens Advice Bureau or an official debt management organisation, which will make the application on your behalf. Debt Relief Orders are a welcome addition to other insolvency measures already available to people who are struggling to repay their creditors. Although it is unlikely that large numbers of people will benefit from them, they are expected to perform a vital service for those people who continue to exist on the poverty line and are especially vulnerable during an economic downturn.